After a dip in its stock prices following the service's reveal, GameStop says it wants to integrate PlayStation Now into its digital sales. A few days ago Sony unveiled its new service PlayStation Now which allow gamers to stream PS1, PS2 and PS3 titles to their game consoles, televisions, tablets and smartphones. Suffice it to say it left many gamers excited and, apparently, GameStop stockholders worried. On the same day as Sony's announcement, the price of the gaming retailer's shares dropped more than 8 percent in value. The implication, of course, was that with Sony making its library of older software more conveniently available, many gamers might skip out on buying from brick-and-mortar stores like GameStop. According to GameStop however, PlayStation Now has a place on its shelves as well. In a recent statement a company representative expressed hopes that it would be able help Sony sell PlayStation Now subscriptions by featuring them in stores. "GameStop has built a $600MM digital business, with most of the digital games sold through our stores," said the representative. "Similar to how we worked closely with our partner Sony to successfully sell the PlayStation Plus service, we are looking forward to working with them on including the new PlayStation Now service as part of our portfolio of gaming products we offer our customers." That being the case, it's debatable as to whether or not you can really equate PlayStation Plus with PlayStation Now. Granted, once Now launches, both services will give subscribers access to games that they would otherwise likely buy at retailers. Depending on how big Now's library winds up being, however, it could potentially drag more away business from GameStop than PS Plus, which tends to feature more limited software offerings. Of course, all of this is just conjecture until Now actually launches and we can see it take actual form. 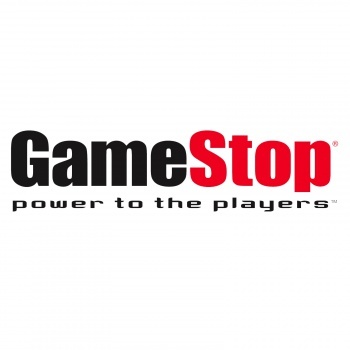 That said, we'll be interested to see how things go for GameStop and other similar retailers going forward.